Damson Gin: Time to make another batch. 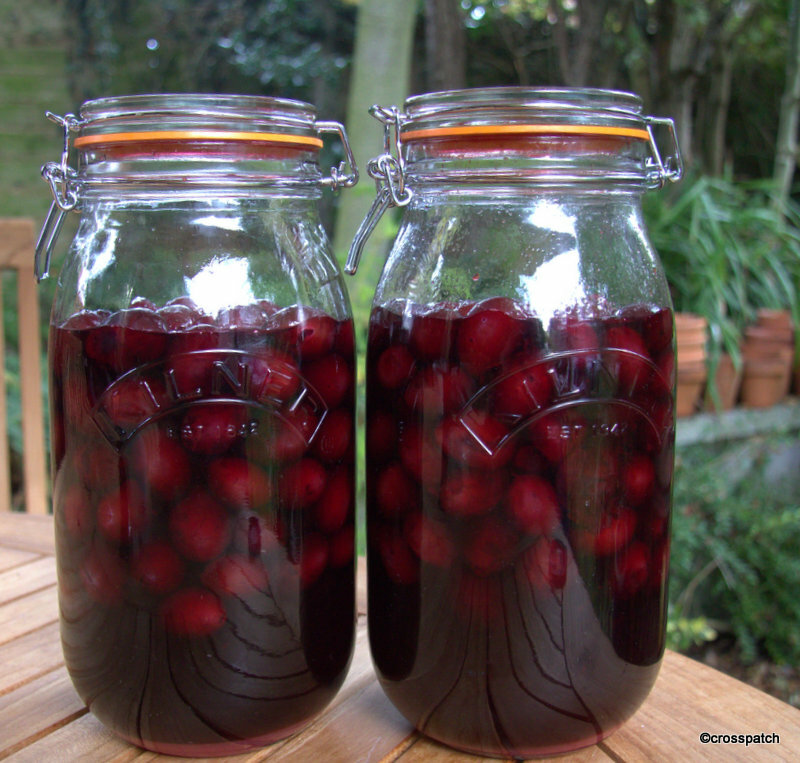 The Damson Gin I made for Christmas last year was such a success that I just had to make some more. My Dearest wants two bottles for us and the rest for gifts. I have three 2 Ltr Kilner jars at the moment each of them containing nearly a kilo of fruit and a bottle of gin. I can assure you that we won’t be drinking 2 out of the three of this particular brew, but I’ll break it to him gently, once the other bottles are gift wrapped and given away. He thinks My Damson Gin is delightful, so do I but not two bottles- that’s just greedy, and besides, there are people I know who now know there will be more Damson Gin this year, how could I not share? last Saturday, the sun shone unexpectedly and so we took my little sports car for a spin. 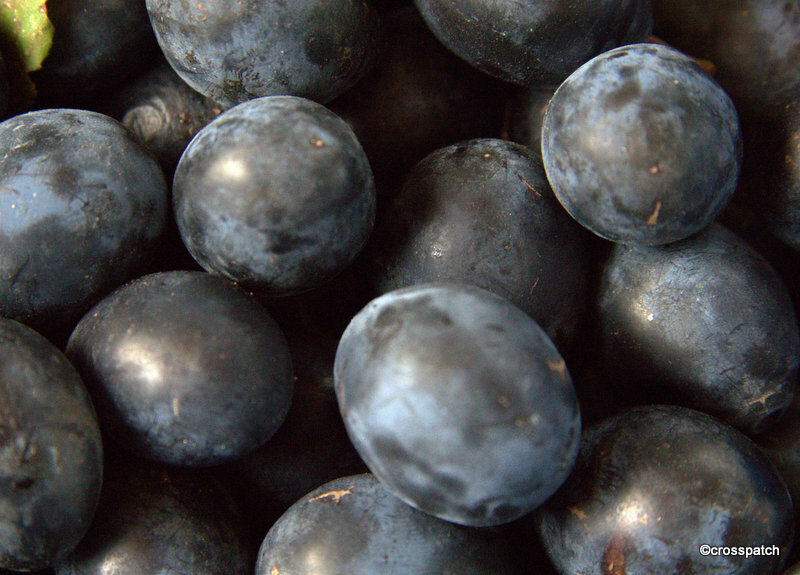 We drove to our favourite place for buying Damsons in the Lyth Valley and bought 4 kilos. Most of them went in the gin, there were some which were too ripe, they got eaten just as they were. The rest were cooked with a little sugar, and put in the fridge to be eaten with yogurt for breakfast, they tasted wonderful. 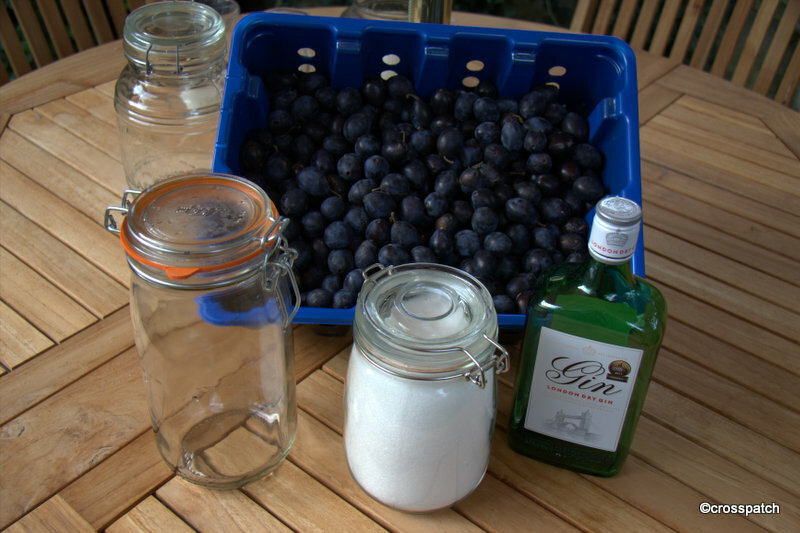 So this year I have put 900 grams of Damsons pierced all over with the tip of a sharp knife, in each Kilner clip top Jar with a 75cl bottle Gin, and covered with a 400g of caster sugar, and sealed the jars. I have given them a good shake every day till the sugar dissolved. This Damson Gin will sit in a cool dark place for 3 months and then the contents will be strained and the gin bottled, ideally I’m told we should allow it to mature for another 6 months, but I doubt it will Survive Christmas. honestly, i’ve no idea how.